Home > Educational Materials > Chemistry Educational Materials > Applied Chemistry Learning Activities > Ward's® AP Chemistry Investigation 15: Buffering: Will that Product Act as a Buffer? Ward's® AP Chemistry Investigation 15: Buffering: Will that Product Act as a Buffer? In this lab, students will observe the buffering abilities of a number of different household products. 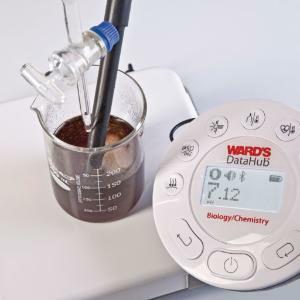 Students will use the concepts of acid-base chemistry, titrations, pH, and buffers in order to determine if certain household products will act as buffers, and if so which chemicals are present. Titration curves will be constructed for known chemicals and then compared to the titration curves produced for the household products. Includes sodium hydroxide, citric acid, diet coke, diet lemon-lime soda, lemonade, grape juice, phosphoric acid, and acetic acid. 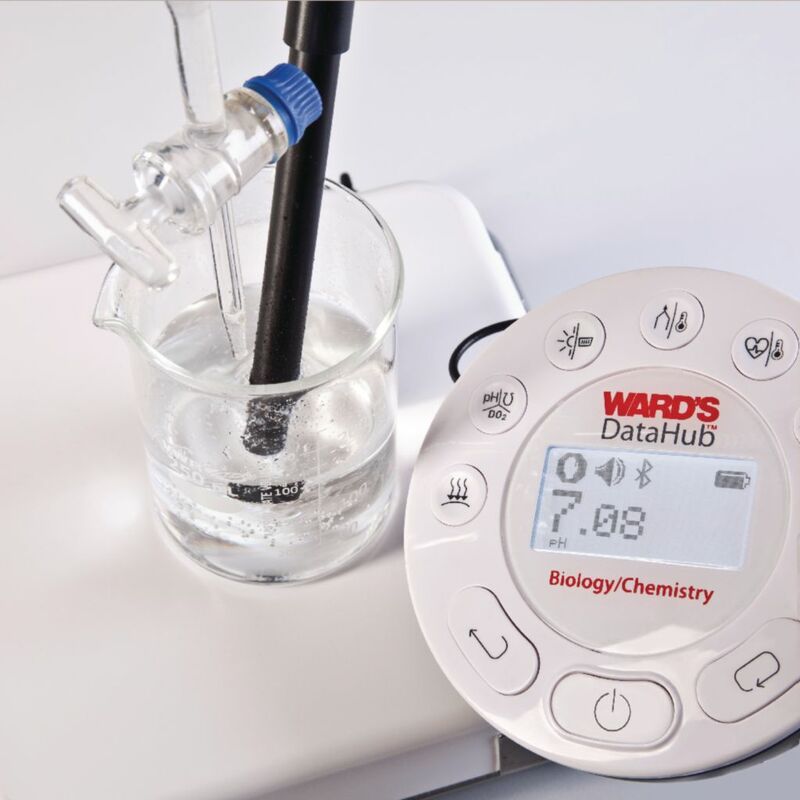 Requires pH meter, ring stand/clamps, magnetic stirrer, magnetic stir rod, and burette, available separately. Ward's® DataHub not required to complete activity. Required but Not Provided: pH Meter, Beakers, Pipettes, Graduated Cylinders, Erlenmeyer Flasks, Ring Stands/Clamps, Burettes, DI Water, Gloves, Safety Goggles, Lab Aprons.